A couple weeks ago, there was an Indiegogo campaign for a video game that immersed you in the story by using your device’s camera to map your house, then project scary, scary things in place of, say your mop. Frankly, it sounded terrifying, which is maybe why it didn’t get fully funded. 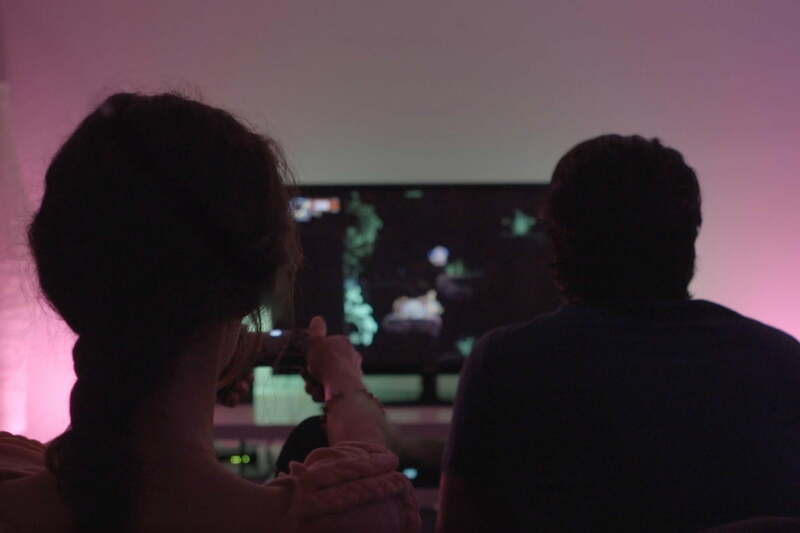 Phillips Hue also wants to make video games a little more immersive but not quite at spine-chilling. Its connected lighting now integrates with Chariot on Microsoft’s Xbox One. In the way that a lot of controllers vibrate to match up with an attack on screen, your smart, colored lights can now sync with the action in the game. In the couch co-op game, a princess and her male companion haul her father’s corpse (housed in the eponymous chariot) around to find an adequate burial spot. Sounds simple enough, but like with any daughter/ghost-dad relationship, there are complications. When you’re under attack, your lights will turn red. As you travel through the vibrant landscapes, the bulbs reflect the colors on your TV. Philips hasn’t announced any other games it plans to sync with, though this new foray into games expands upon its TV endeavors. The bulbs sync with the 12 Monkeys series and Syfy’s Sharknado and Sharknado 2. While it’s definitely a cool idea to amp up the drama on a game by making you feel like you’ve been transported into its world, you’ll likely need more than a single bulb to get the full experience. A starter kit for Philips Hue, which includes the required hub and three lights, is around $200, though you can currently snag it from Amazon for $185. They’re pretty cool, but it might take something like Grand Theft Auto V for gamers to take a shine to the idea of syncing their lights and play.